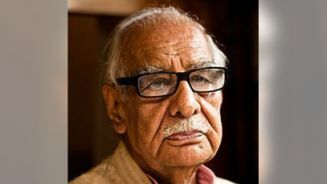 In India, veteran journalist, author, human rights activist, Kuldip Nayyar, age 95, reportedly has passed away on 23rd August 2018 in Delhi, said media news report. According to media news report, he was a passionate advocate for peace and press freedom and he was working till the end, his last column appeared in a daily newspaper reportedly yesterday morning, hours after he breathed his last in a Delhi Hospital, and his last rites were performed at Lodhi crematorium in Delhi, media news report said. As an ex-Indian high commissioner in the United Kingdom, Mr Kuldip Nayyar was a popular high commissioner among Indian community in the UK, said a longstanding Indian journalist Mr Vallabh Kaviraj in London.